If you want to create a great looking website to represent your business on the web, clearly you need to know exactly what it is that your website will need to look like and what its functions should be. If you already know what you are aiming for, all you need to do is find a theme that fits your needs. There are many great themes out there, and picking the right one can be a bit challenging. 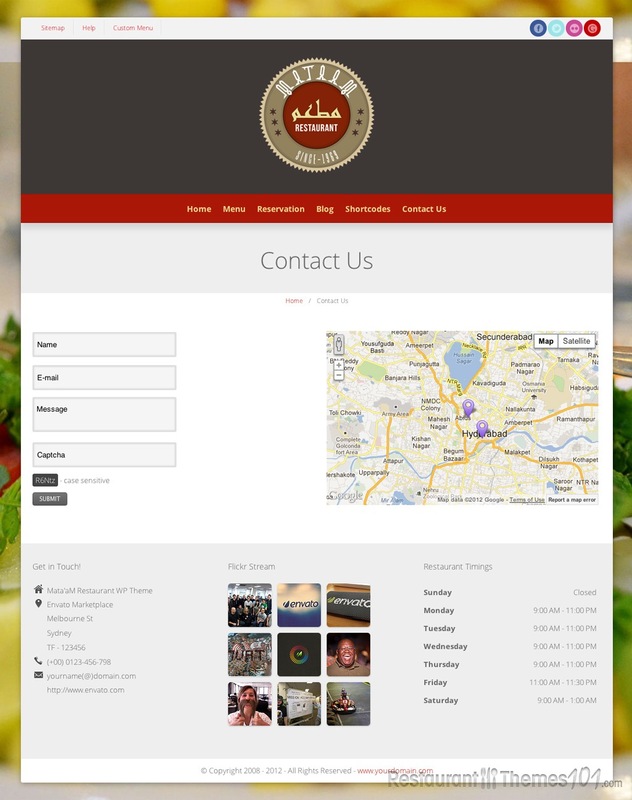 Mataam Restaurant is a responsive restaurant theme for WordPress created by System32 and featured on ThemeForest. 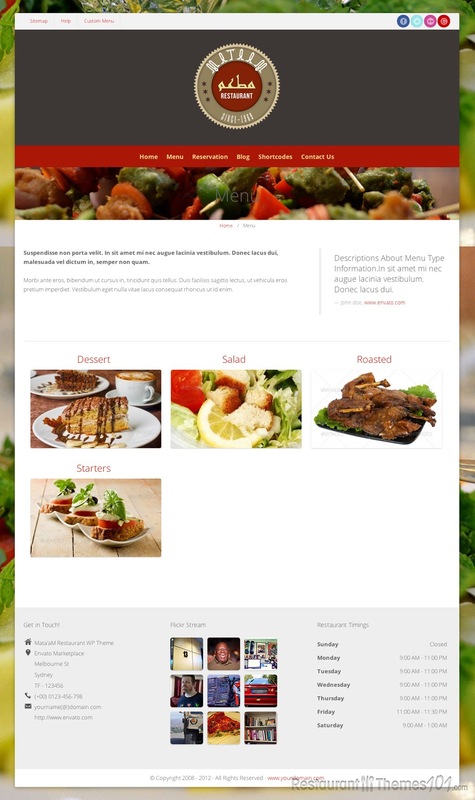 This theme is filled with excellent options and features; it basically covers every detail when it comes to restaurant websites. 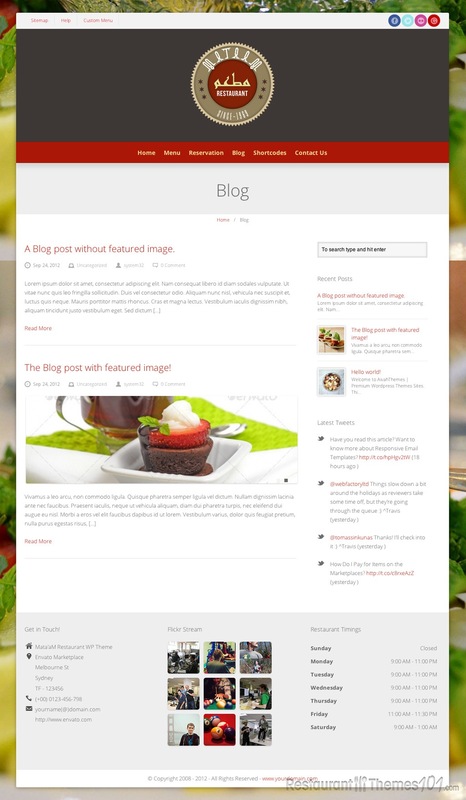 The theme is very customizable and it is very easy to change anything about it, no matter if you are a professional or you have no programming knowledge whatsoever. Changing pieces of the theme such as texts, links, backgrounds, menu links etc., is very easy and it leaves you the possibility of making the theme a bit more personal and tweaking it so it looks just the way you want it to. The theme is localized and completely translation ready. It comes with a layered PSD and it will be very easy for you to change and fit the theme to your needs. When it comes to options and features, this theme has many of them. 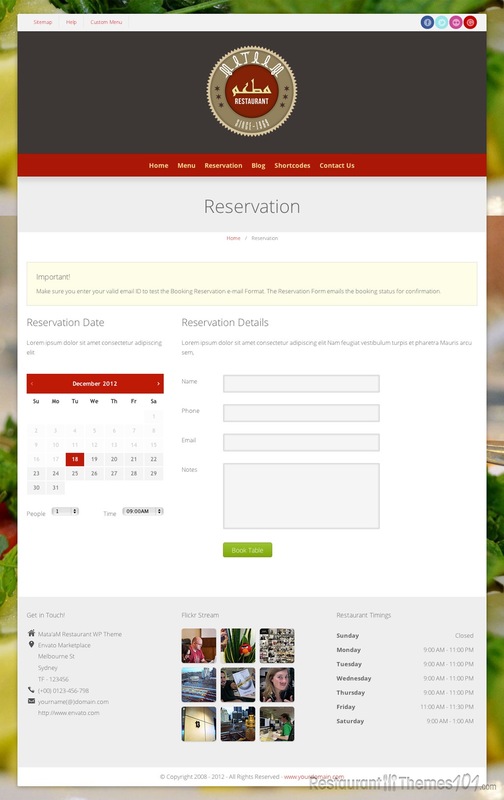 It is completely widgetized, from header to footer, and apart from adding widgets of your own choice, there are 8 great custom widgets included, such as: a nice reservation form that is necessary for any restaurant website, recent posts, popular posts, Twitter tweets, Flickr photo, contact info, sociables and Google Map. You will no longer need to worry about your visitors not being able to find your place; Google Maps is there to guide them inch by inch. You can change your sidebar settings as you like because this theme offers unlimited custom sidebars option, so you can freely add pages and posts as much as you like.